We’re starting to collect some amazing prizes for our Kickstarter campaign for Great Northern! In case you missed it, Teresa Gregorio and I are working on a pattern book of sweaters and accessories inspired by the TV show Twin Peaks. We’re going to launch a Kickstarter campaign in August, and release the collection next fall. Over the next few weeks, we’ll be giving you some peeks at what we’re swatching, knitting, and shooting! Now, on to the REWARDS! First up, we have some adorable Sweatshop of Love kits from Allyson Dykhuizen. 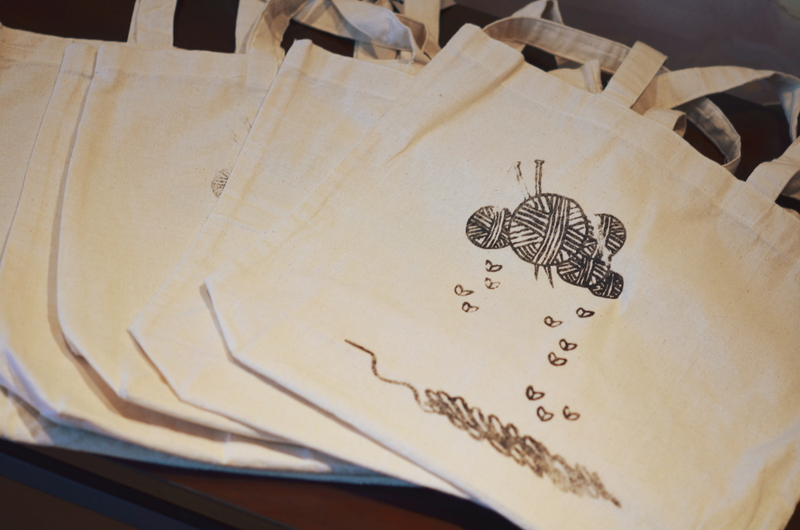 Allyson also donated some beautiful hand-printed project bags! The bags are from WORK+SHELTER, a very cool organization that provides women in India with a safe, fair-paying work environment. 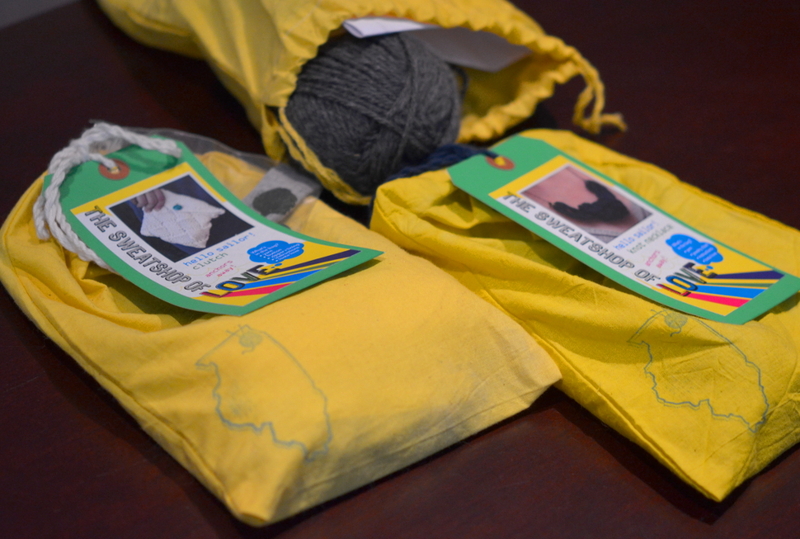 Throughout the campaign, we’ll be posting more and more yarn prizes. This is a skein of Fancy Tiger Heirloom Romney yarn, which will be up for grabs! Some of our very generous designer friends have donated patterns! We’ll be offering ebooks, patterns and print books from Carina Spencer, Shannon Okey, Alex Tinsley, Annika Barranti, Lee Meredith, Bristol Ivy, Jane Richmond, and more! Including Teresa and myself, of course. Want to be notified about project updates? Sign up for our newsletter!